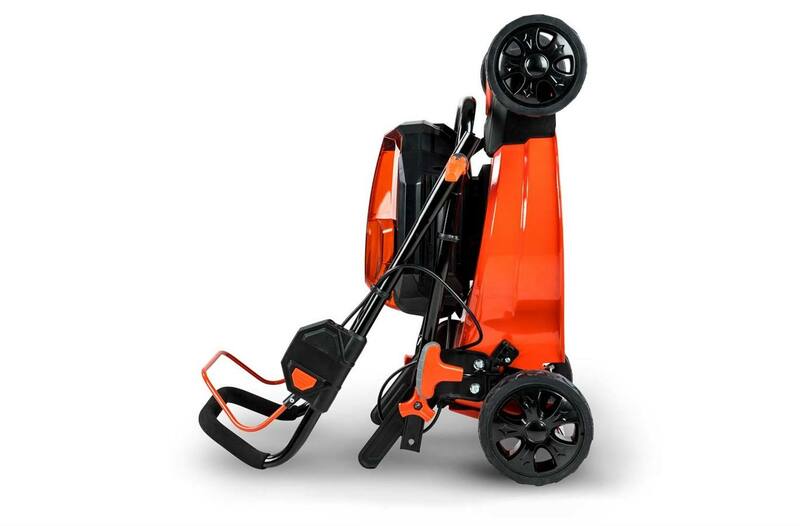 Our PRO-16 model is our lightest and easiest to maneuver battery mower. 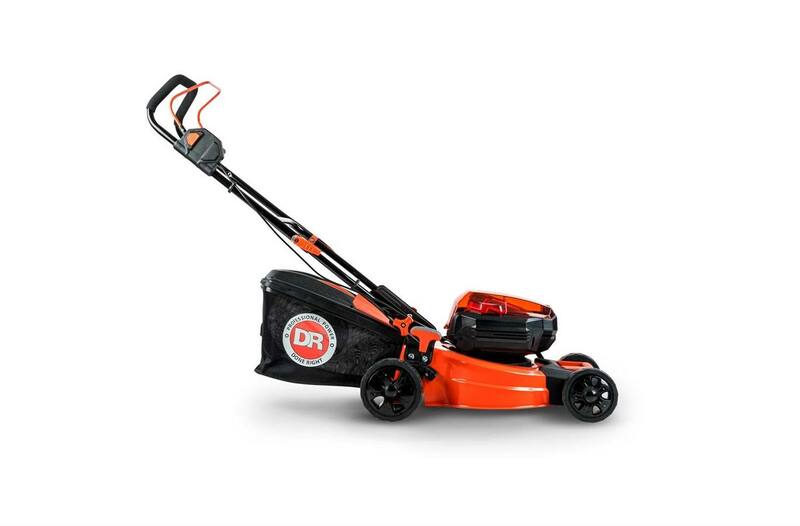 With a 700W brushless motor and a run time of up to 75 minutes it doesn't skimp on power or longevity. 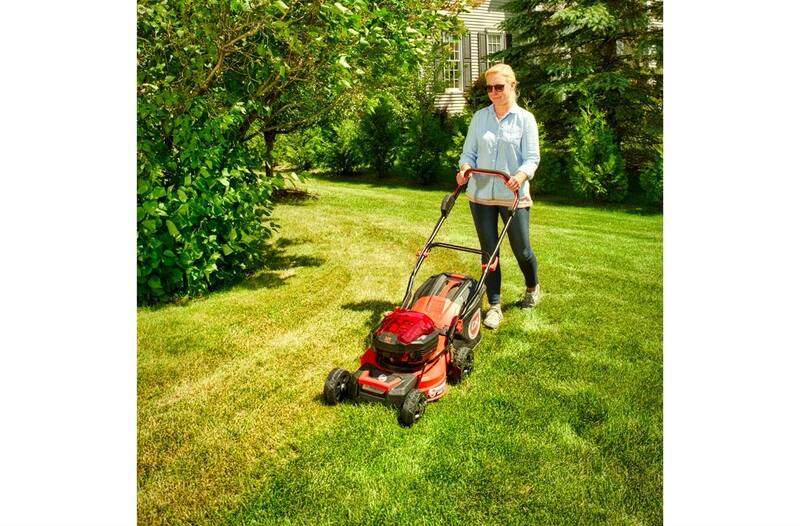 You'll actually love mowing your lawn! 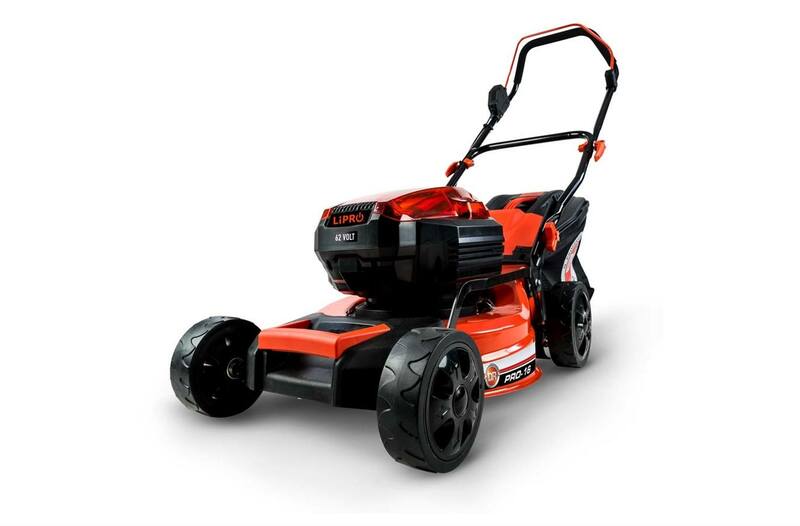 Lithium-Ion 62v Battery: 2.5 Ah battery with LiPRO™ technology. LED display shows charge level. Onboard USB port makes the battery a useful shop accessory for charging a mobile phone or other device. Up To 75 Minute Run Time: on a single charge of the 2.5 Ah battery. Add an extra battery to your order and you can have a freshly charged battery ready to go and work for up to an hour-and-a-half! 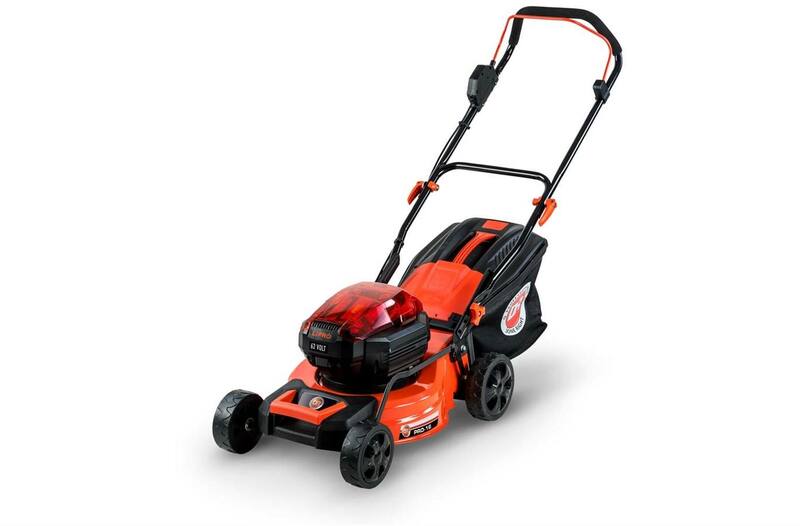 Brushless Motor (700w): is energy efficient and MUCH quieter than a gas-powered lawn mower. 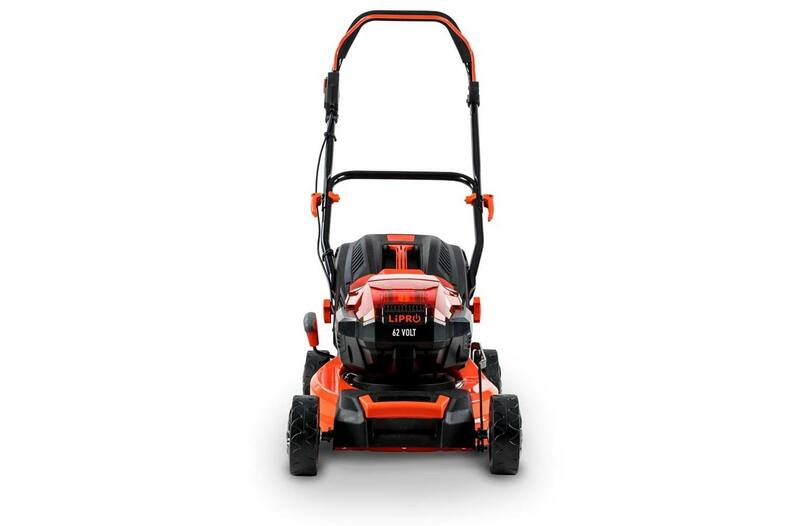 It's even quiet enough to cut the grass any time of day without disturbing your neighbors! Mulch Or Bag: We include an easy on/off bagger (no tools required) that can be swapped out with a mulching plug. 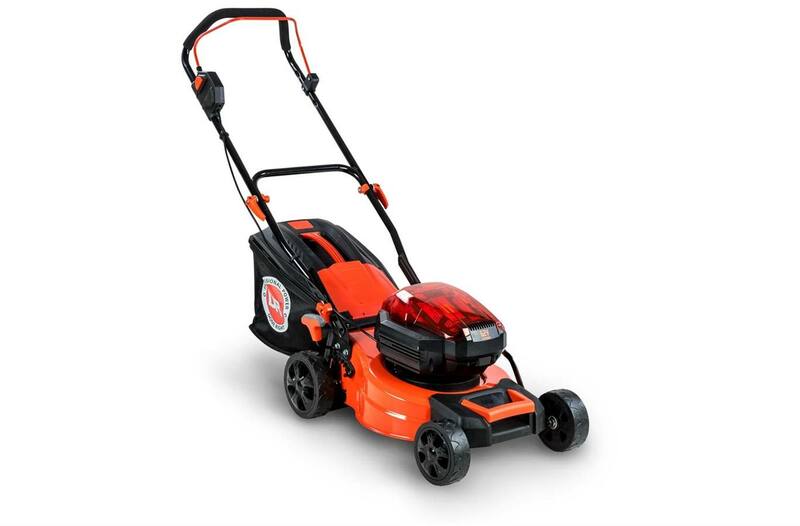 16" Steel Deck: is more durable than common plastic decks found on competitive battery mowers. Vertical Storage: stores on end to save space in your garage or shed. Single-Lever Height Adjustment: (6 positions, from 1.2" to 3.5"). Battery Charger Included: Recharges the 2.5 Ah Battery in just 60 minutes.